Independent bottlings are always a hard sell. A back-bar will always have a bottle you have never seen before, and more than likely will never see again, but on the odd occasion a brand makes the grade and Peat’s Beast is the latest to shine through. Created by Eamonn Jones of Fox Fitzgerald, a former traveller of the world with companies such as Whyte & Mackay and Drambuie, Peat’s Beast is a un-chill filtered single malt creation with an emphasis on Scotland’s peat flavours. Peat’s Beast tops the phenol level at 35ppm (parts per million of peat) and is produced ‘the way whisky should be’ by bypassing the filtering stage that remove cloudiness when stored. Matured in hand-picked oak barrels and bottled at the cask strength of 46%, this ‘big bite of un-tamed peatiness’ is recommended to add a dash of water to tame. 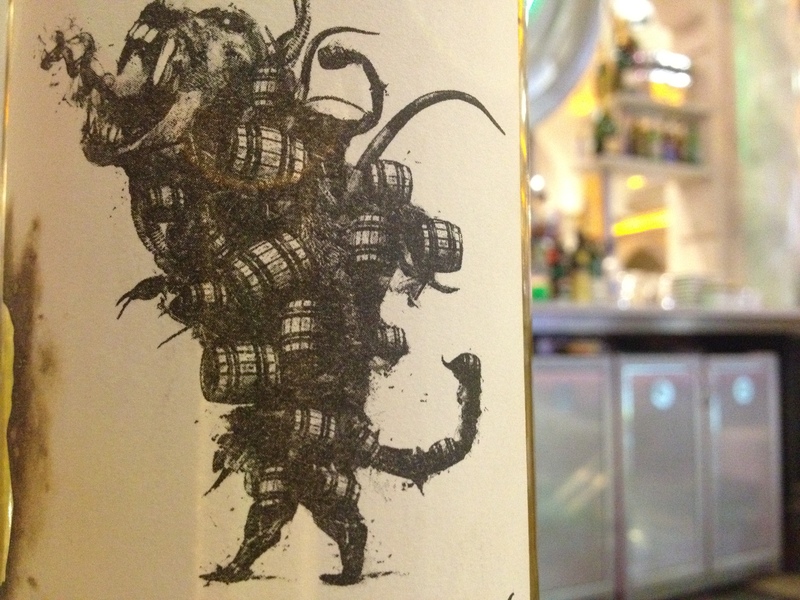 The label itself, depicting a fantastic illustration of Peat’s Beast by Brazilian artist Doug Alves, adorns each bottle alongside burnt edges and scorch marks. The first of these labels saw daylight August 30th last year and only 5000 bottles were released. Whispers of smoke and peat that are gentle on the nose and follow onto the start of the palate. Develops quickly into a burst of peat and creates an instant mouth-watering experience. Smooth finish and slightly creamy, with the peat and seaweed smoke lingering fantastically. After a couple of sips, you do get used to the flavours that Peat’s Beast produce rather quickly compared to other peat heavy whiskies, which gives it the edge, especially to non-peat lovers. Give it a go, and if not for the whisky, just for the packaging alone. 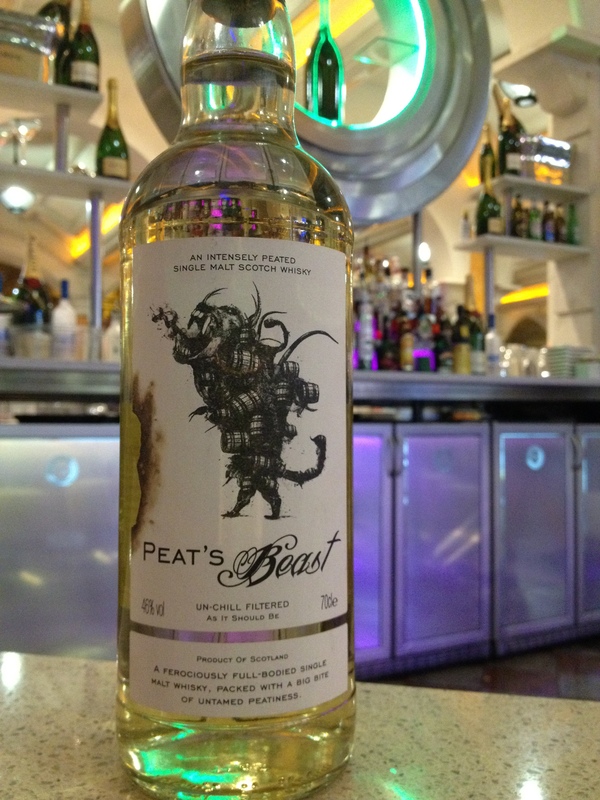 You can purchase a bottle of Peat’s Beast here.